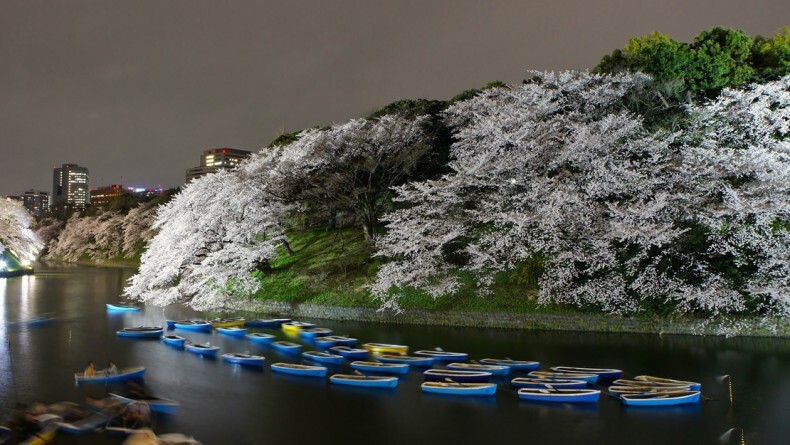 So you think that hanami (cherry blossom viewing) is the ultimate spring experience in Japan? Well, you’re in for a huge surprise. Though certainly the best known and highly anticipated among all flower festivals in Japan, it isn’t the only one. Acknowledging the arrival of new flowering blooms is not just a fleeting nod to Mother Nature, but a cause for real celebration and a genuine pastime in Japan. Love, respect and appreciation of the beauty of the changing seasons transpires into various public events dedicated to showcasing every flower that comes to bloom each season. 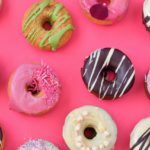 Significant advance preparation goes into arranging these to create the ultimate ambiance for taking in the seasonal beauty – food stalls, music, performances and of course soft-serve in the same flavor as the featured flower. Japanese even have a special word – Hanasanpo (flower walk) – to describe the activity of admiring and walking in amongst seasonal blooms. Happily, there are plenty of flower festivals happening all year across the country. Here are my top flower celebration picks in and around Tokyo to look forward to this spring. Here’s the biggest myth debunked: you can see cherry blossoms exclusively at the end of March and/or beginning of April. The truth is, there are at least a dozen species of cherry trees in Japan and some start blooming as early as January! Kawazu zakura, famous for first being spotted in Shizuoka prefecture’s Kawazu town, is one of the earliest blooms. If you find yourselves in Japan in the next couple of weeks, a 1.5-hour train ride from Shinjuku station will get you to Miura Kaigan in Kanagawa prefecture. 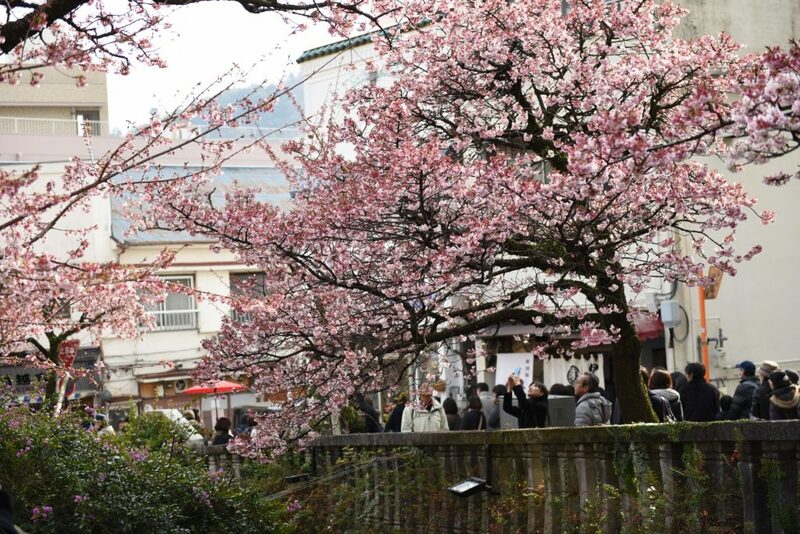 This town comes to life every February when local tourists flock here to admire the early blooming kawazu sakura at the annual Miura Kaigan Sakura Festival. The event runs from February 11 to March 12 this year. Another famous Kawazu Zakura Festival is the Matsudojuku Sakagawa Sakura in Matsudo, Chiba prefecture, which takes place on March 11 and 12 this year. While cherry blossoms get all the glory when it comes to heralding the arrival of spring, modest blooming buds of ume are also held in high regard here in Japan. Celebratory ume matsuri (plum blossom festivals) take place all around the country, filled with performances and plum-themed food stalls. 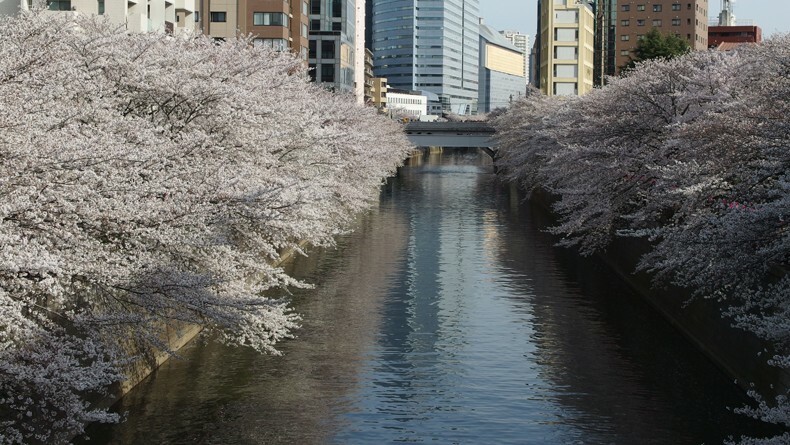 Early February to mid-March is when Tokyo starts filling up with bursts of white, blush and hot pink. You can spot the blooming trees everywhere, although there are a few parks with a nice choice of trees for plum-watching. Hanegi Park in Setagaya hosts the annual Setagaya Ume Matsuri, which has over 650 plum trees in full bloom from February 11 through March 5. 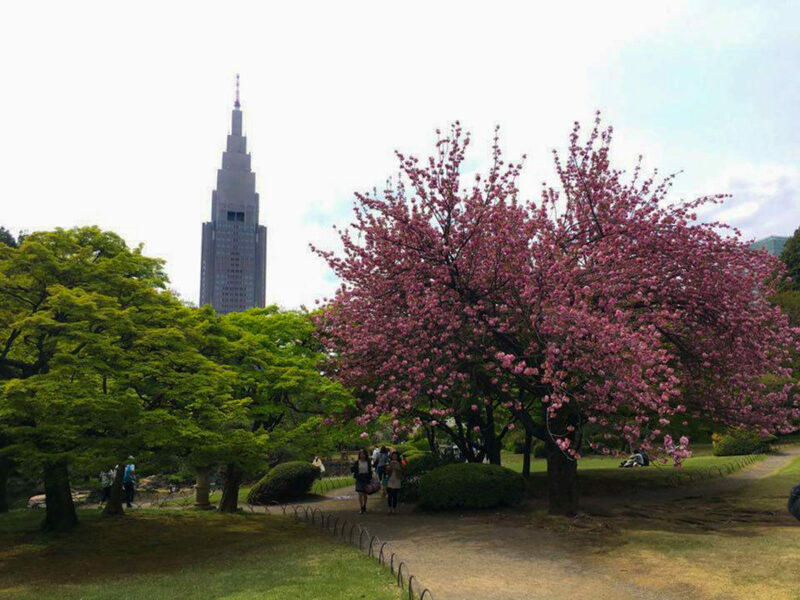 Koishikawa Korakuen in Suidobashi and Koganei Park in Koganei are one of the best spots to marvel at the blooming plums in Tokyo, in addition to enjoying traditional performances and even special guided tours of the plum blossom from mid-February onwards. However, one of the largest and best known plum festivals in the capital is the one at the Yushima Tenmangu Shrine (Feb 8 – March 8) in Tokyo’s Bunkyo ward, which invites visitors to a pleasant stroll amid plum trees at the background of various performances, including a karaoke competition, traditional Japanese dances, shamisen and of course, lots of food stalls. Acknowledging the arrival of new flowering blooms is not just a fleeting nod to Mother Nature, but a cause for real celebration and a genuine pastime in Japan. 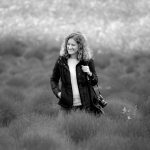 This list wouldn’t be complete without featuring one of the main spring events in Japan – the blooming of Somei Yoshino cherry trees, the most widespread type of cherry blossom in the country which represent the fleeting nature of life. Depending on the weather, end of March or beginning of April marks the time when Tokyo is transformed into a floral fantasia. The fluffy clouds of sakura cover the cityscape, forming tunnels of blooms and filling the city with incredible delicate fragrance. 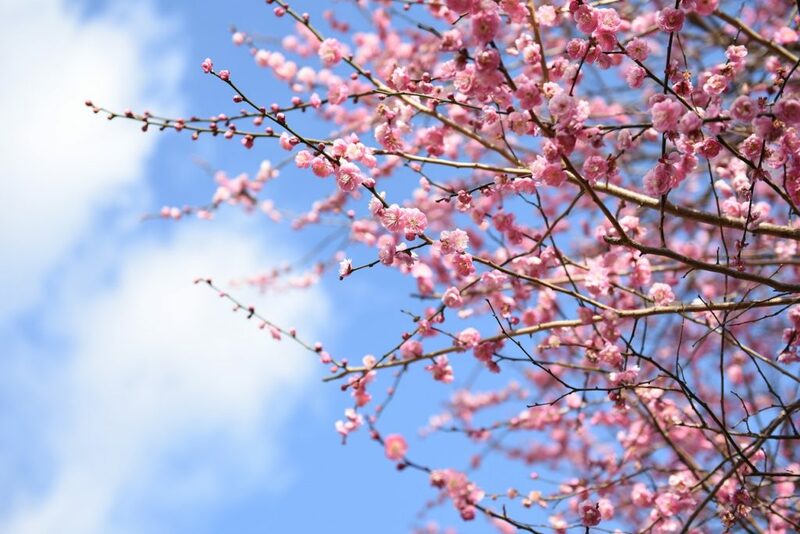 The Japan Meteorological Corporation already released its first national cherry blossom forecast, which tells us that the first blossoms will begin to open in Tokyo on March 22 with peak season falling on March 30. 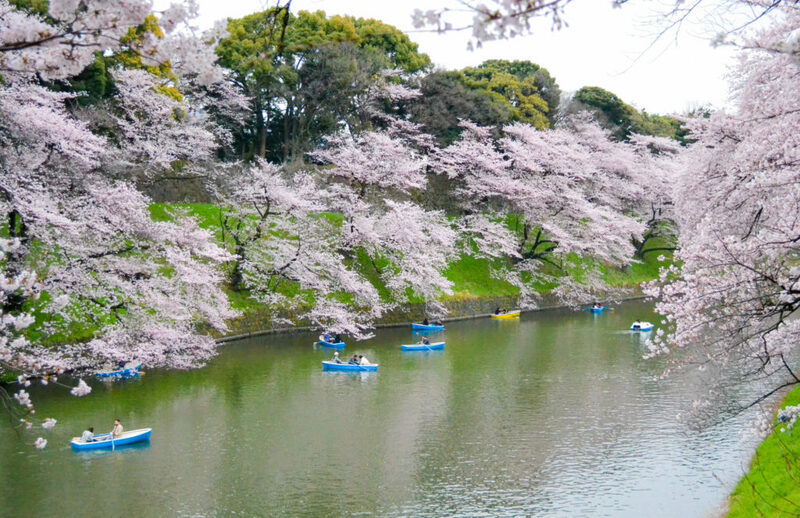 One of the most picturesque spots for viewing cherry blossoms as well as immersing yourself in hanami tradition are Shinjuku Gyoen Garden, Meguro River near Nakameguro, Yoyogi and Inokashira Parks, Chidorigafuchi moat and the neighboring Yasukuni Shrine. 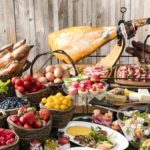 For less crowded spots, head to Canal Café in the Kagurazaka neighborhood by Iidabashi metro station. 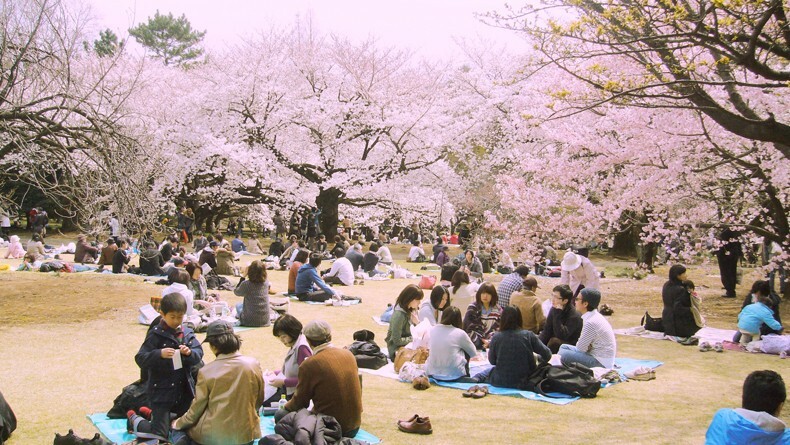 For a full list of Tokyo’s best hanami venues, see here. Arriving to Tokyo in mid to late April? Don’t worry, you’ll still have a chance to get your dose of sakura blossoms as Yaezakura cherry trees start blooming just around that time, covering the city with stunning soft pink hues. Unlike Somei Yoshino, which only has five petals, these blooms are fuller and boast a hundred-petal flowers. 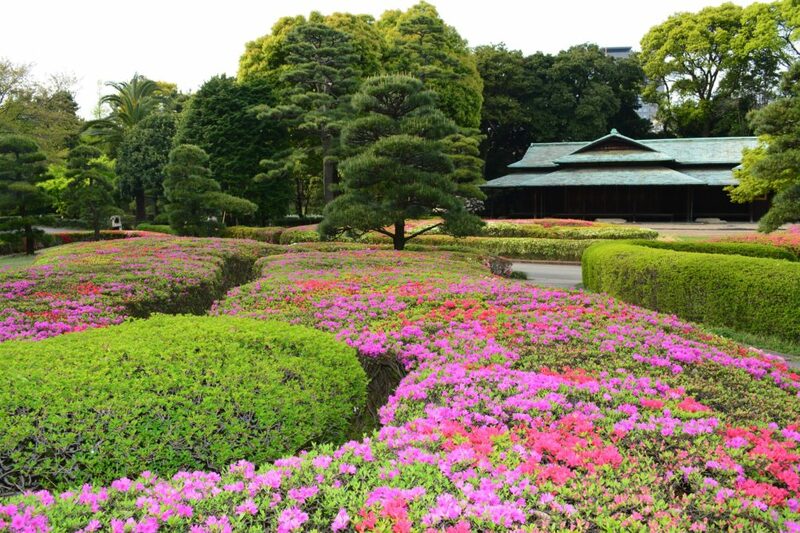 Enjoy a peaceful afternoon while picnicking under these beautiful trees at Shinjuku Gyoen Garden. As crowded as it gets during this time, the park is expansive enough to provide you with a secluded serene corner of your own. April is a lovely month not only because of the iconic cherry trees, but also because so many equally beautiful flowers come to life and fill the city with color. Remarkable views of vibrant azalea bushes and hanging wisteria should not be missed. Head to Nezu Shrine in Bunkyo-ku for one of the largest annual tsutsuji festivals from April 8 through May 5. 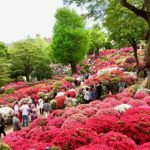 There, you can see over 3,000 azalea bushes in full bloom, forming a marvelous sight of pink, white and purple blossoms. Kameido Tenjin Shrine in Tokyo and Ashikaga Flower Park in Tochigi, on the other hand, feature ornamental trellises of draping wisteria blooms creating an ethereal display in early April. 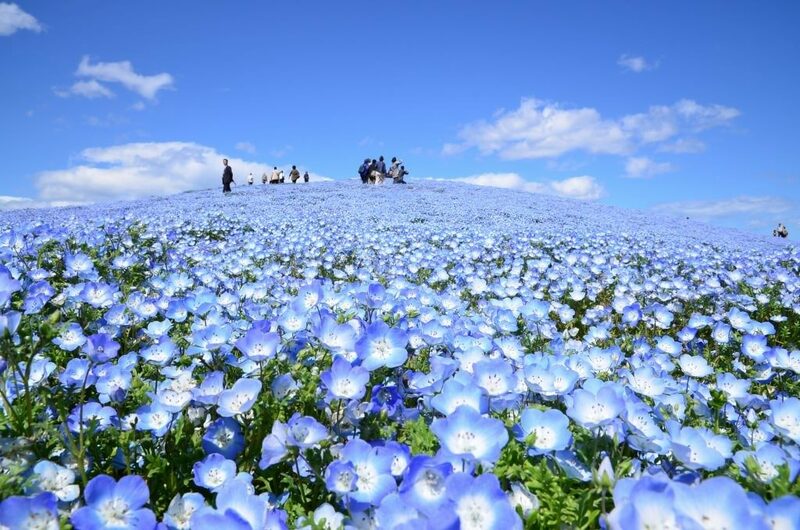 In late April/early May the rolling hills of Hitachi Seaside Park in Ibaraki are blanketed with whimsical pale blue and white nemophila flowers. With the sea to one side and the expanses of the large park on the other, the sight is nothing short of magical. The same park is also home to the brilliantly colored world of tulips that come to bloom. Showa Kinen Koen, or Showa Memorial Park located in Tachikawa in the capital, is another place where you can enjoy your walk among the vibrant tulips during the annual flower festival in late March through the end of April. Have you ever had one of those dreams where you stand in the middle of a flower carpet with nothing but the sky and pleasant scent around you? 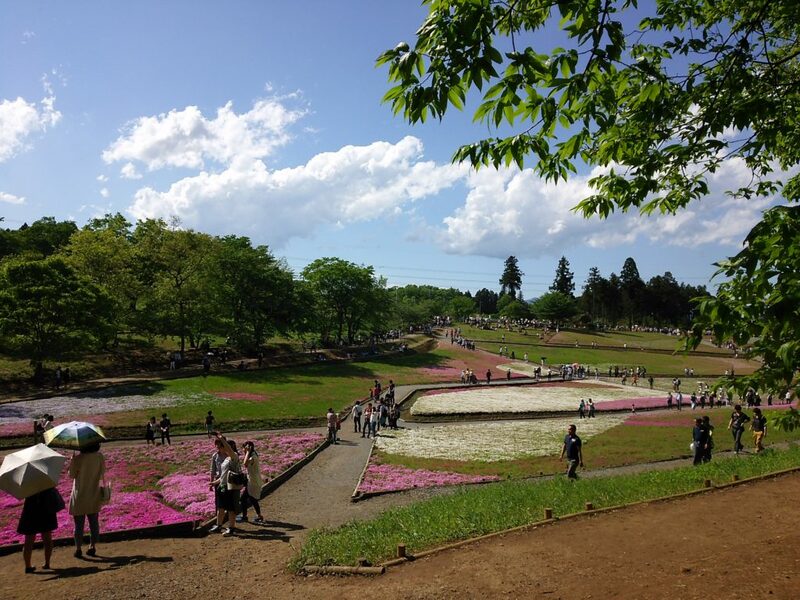 The shibazakura is really like this – an endless carpet of pink and white flowers that makes you just want to sit around and do nothing – apart from taking a few hundred photos. 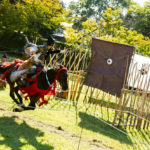 The most famous shibazakura festival takes place in Yamanashi Prefecture (early May usually being the most optimal time), but if you can’t afford to travel there, the Shibazakura festival in Chichibu, Saitama Prefecture is also an equally popular top-viewing spot. Head there anytime between mid-April through early May for the best views! Blooming dates in this post are given as a rough guide only. Flowering periods differ depending on location and the weather gods from year to year, and peak periods can come and go quickly. To ensure accurate peak bloom predictions, please see each location’s official website before heading to see to flowers! 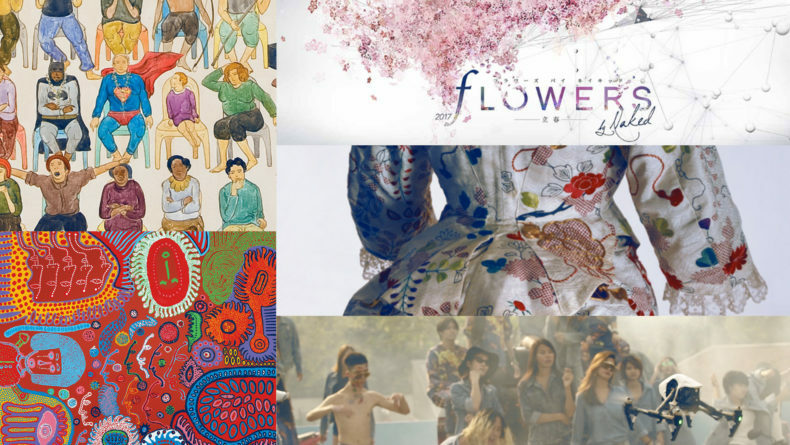 We've rounded up 2017's art exhibition highlights — save the dates!